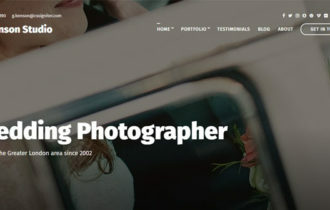 Loge is a minimalist and light weight WooCommerce WordPress theme from CSSIgniter. This theme is specially crafted to showcase and sell unlimited products online. 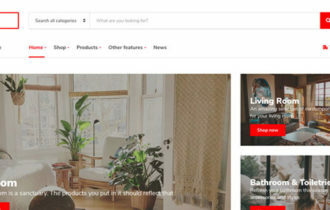 Whether you wanted to sell few number of products or a large number of products, “Loge WordPress Theme” can help retailers to create their own internet store with no coding work. Just learn the basic of WordPress and you will be able to start a professional goods store to sell anything online. 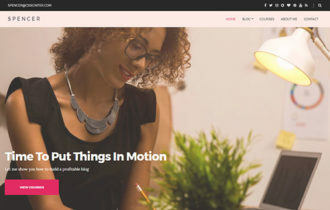 Loge WordPress theme integrates with free eCommerce plugin so you won’t have to spend extra money to buy extra cart plugin or shop management tools. Whether you’re selling high-street fashion, beauty products, or home accessories, Loge will just stand out of the way letting your products shine. You will get all the necessary features to create a unique and outstanding e-commerce website. 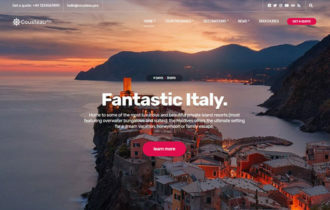 Theme offers full compatibility with the Elementor page builder and in addition comes with its own built-in Elementor modules for maximum versatility in content layout. Loge Theme allow you to build the ultimate window-shopping experience directly in your browser. Choose different styles and settings for your product layouts, column numbers and even sidebars or drawer displays for your product filters. This theme is fully responsive and behaves perfectly under any screen resolution devices. Provide your users with a consistent shopping experience regardless the device they’re on!